As entrepreneurs and online marketers we tend to be on a never ending quest to expand our tribe, garner inquiries and increase our social media followings. We are always hearing how important it is to grow our email lists and start building out our subscriber list. As I'm sure most of you have noticed online quizzes have been popping up all around the internet and seem to be the latest and greatest way to connect even more with your audience and potential customers to provide them amazing content and value with the product or service you are offering. I am always trying to find new ways to help entrepreneurs regain their balance between their home life and their work life. Most business owners wear so many hats and end up doing all the things within their business, something as most of us know is just not sustainable. 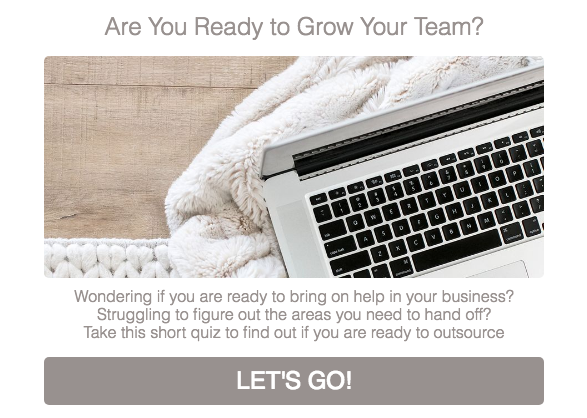 I wanted to come up with a way that would help entrepreneurs and creative business owners determine when they should bring on help into their business so I jumped on board the online quiz train to help them figure this out because I knew it would be such a fun and quick way to show them what stage they are currently at on the road to outsourcing. I opted to go with the Interact quiz building platform to set up my quiz because I had heard so many great things about the program, most importantly how user friendly it was to work with. I wanted to build out a quiz that would tell entrepreneurs if they were ready to bring on help in their business so I got right to it and starting building out my first quiz. It was super simple to use and I am going to walk you through the 5 easy steps to set up your first online quiz. Kick it old school and bust out the pen and paper and start creating a rough draft of the questions you want to ask and the possible answers or results. By starting this way and mapping out your quiz just makes it that must easier to enter things into the platform. You will want to decide the best type of quiz for the purpose is as well. Interact has a number of templates you can choose from or you can build it from scratch. To start you will need to decide the style of quiz to suit the purpose. You can choose from Assessment, Personality or Scored. From there you can start setting up your quiz! The Interact builder is clearly laid out to walk you through the steps you need to take to get things up and running. To start you can customize everything to match your brand and style through colours, fonts, and images. Now you get to add in your questions. You can have questions that contain just text or ones with pictures for answers. 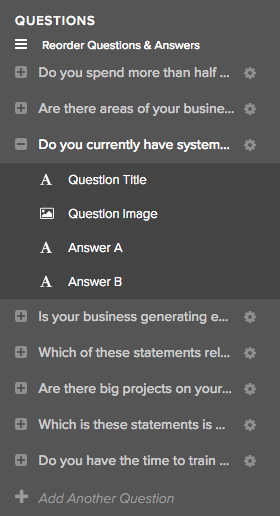 You can put in multiple choice, statement questions or however you want it to be laid out. Then you can determine all the results and apply the answer scores appropriately to end up with the results you want. Once all your answers and results have been entered in you will want to start setting up your email integration. The goal for most of quizzes is to help with lead generation so this is an integral aspect of your quiz set up. You will want to make sure to set up your opt-in form, connect your email marketing platform. The great thing is Interact connects with a number of different email marketing platforms making this step super simple to be able to collect those addresses. 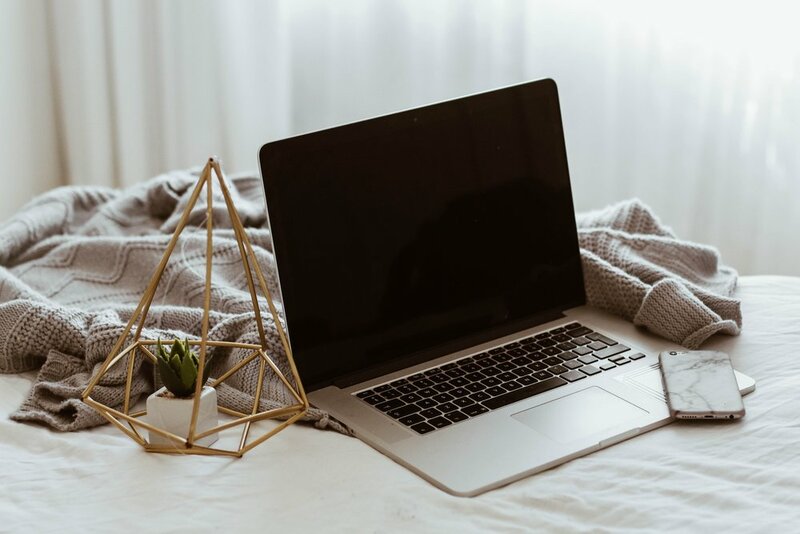 Once your quiz is where you want it to be it's time to decide where you want to place it on your website and decide how you want to promote your quiz to your audience. Interact gives you tons of options to place your quiz in an announcement bar, pop-up on your site, embed it directly onto a webpage, the possibilities are endless! I decided to place a link directly on my home page banner and have a button that links directly to the quiz. I cannot wait to see the reaction to this new quiz on my site! Interact made the process very easy to be able to get this up and running. If you are thinking about setting up a quiz of your own make sure to check out Interact!